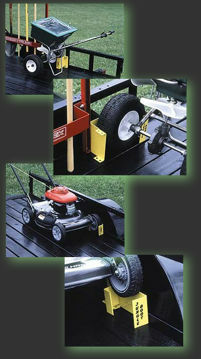 Secure anything with wheels to trailer decks, in seconds! 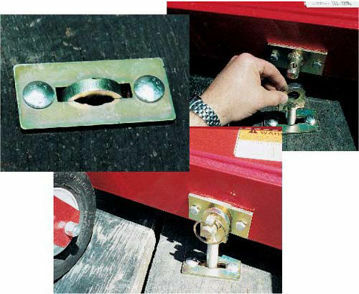 This simple, yet ingenious device will eliminate expensive damage to your equipment by preventing it from rolling around in the truck. 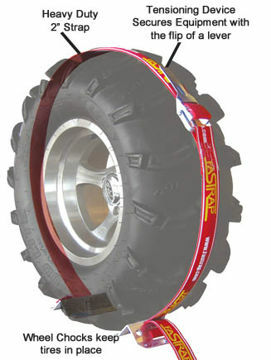 Highest quality stretch cords, 24' long, originally developed for the trucking industry. 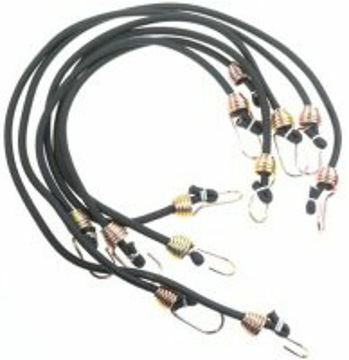 100% latex center protected by a double sheath, anodized hooks.